Used like Entity Framework with CSV. 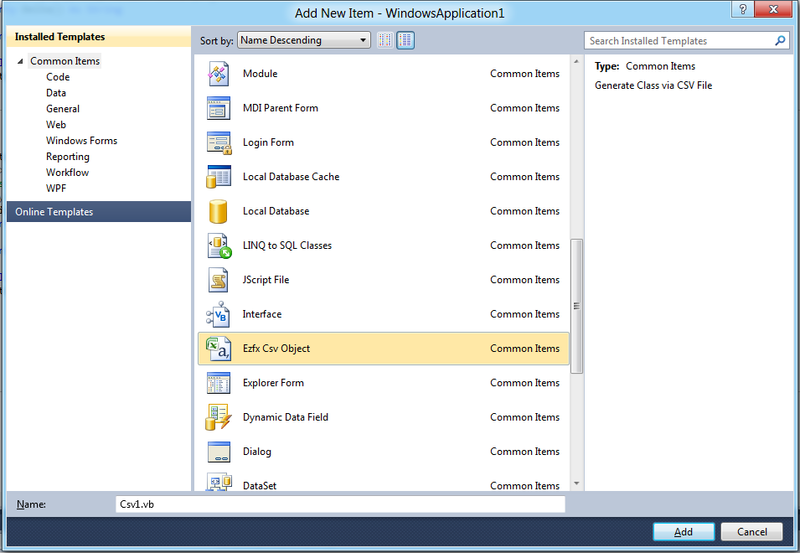 Create C# or VB.net classes automatically based on the csv file. CSV is the abbreviation of Comma-separated values, a file format stores tabular data in plain-text form, usually with .csv extension. CSV is a simple file format that is widely supported by consumer, business, and scientific applications. With CsvFieldAttribute, now we can decorate our own class. 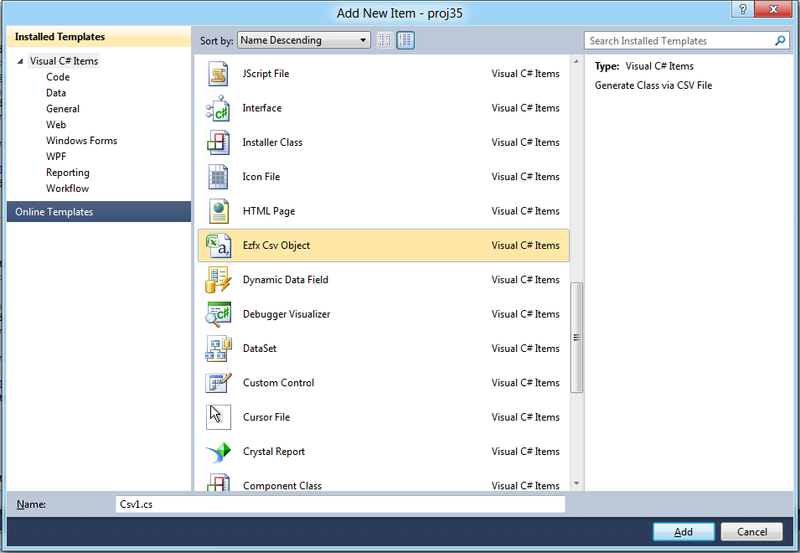 After the installation a new template called EZFX CSV Class will be displayed in your Visual Studio 2010 both in language VB and C#. After click of add, a CSV Generation Wizard Window will be displayed, you can select a CSV file by click the browse button, this Wizard support Excel(xls, xlsx) and Access files(mdb, accdb), too. You specify the encoding for the CSV file and table name for Excel and Access file. The following code reads a csv file and put data to Csv Objects. With Document Generator, you can get the schema of the CSV files or the Excel and Access files and save the result to a CSV file for further edit.